Music and the Arts are very much valued as a form of expression and learning at San Antonio School. Our PTO partnership for art funding as well as our ongoing community partnership with the Ojai Festivals for Music Education exemplify the commitment of our staff, parents, and student have in the Arts. We are pleased to be able to offer our students these additional opportunities for exploring and experiencing the arts. The art offerings at San Antonio keep our students' experiences fresh and innovative. Students in grades TK-6 receive weekly art instruction with Mariana Royuela, a talented artist in her own right. Ms.Royuela is a gifted teacher, bringing out the hidden artist within each of our students. San Antonio is proud of the fact that we piloted the BRAVO! program back in 1999 with the respected community partner, the Ojai Festivals Coordinator Andy Radford. The student response to having a musician in the classroom to lead classes in music education and appreciation was immediate and enthusiastic. Since then, Ojai Festivals has remained a valued partner and has shared a variety of instructional resources to our school via the BRAVO! program. 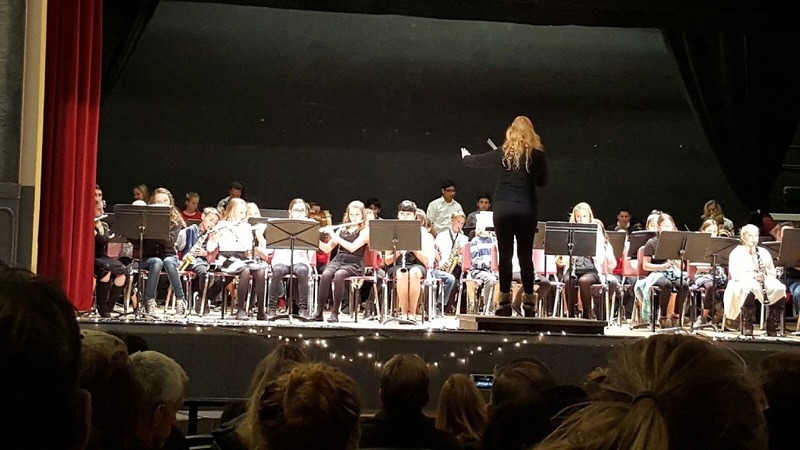 Family concerts, performances by local musicians, and classroom offerings such as "Stay Tuned" and "Composer's Suitcase" have brought the joy of music to our students. A wonderful continuing tradition here at school is their annual presentation of the popular "Music Van" to third graders, who enjoy seeing, touching, and trying out the many instruments displayed by Ojai Festivals volunteers, and the annual BRAVO! district-wide "Imagine" concert in February. We have been fortunate to have the energy and talent of parents at our school who has spearheaded the creation of beautiful, high-quality student ceramic projects throughout the years. Parents, students, and teachers continue to treasure the vases, frames, plates, handprints, and decorative tiles that emerged from the campus kiln under their direction. They have also taken on the responsibility to continue the sixth-grade student "legacy" tiles that are mounted each year to line the front wing of our school. Started many years ago by local artist Colleen McDougal, the tile project serves as a touchpoint for many students who return to campus as teens or adults to "visit" their tiles, a little piece of permanence in an ever-changing world. We thank our volunteer parents for making sure this tradition lives on! Music teacher Michael Ribiat leads fourth, fifth and sixth-grade students in band instruction. The students have several opportunities to perform in front of an audience. In addition to the band, the sixth graders learn how to play the guitar. Each sixth-grade student is assigned a guitar to use during the school year. Students are encouraged to take the instruments home for practice as well. Learning the traditional folk dance around the Maypole is always a challenge for our sixth-grade students, and if you have ever witnessed this annual event, you will understand why! Inclusion of this dance in the June promotion ceremony is not only the longest running tradition at our school, it is also the last cooperative learning experience that sixth graders share during their time at our campus. They are introduced to the music, then learn dance steps that take them as a group around the Maypole. Finally, they learn to weave brightly colored ribbons as they dance, stitching together a tight braid on the Maypole itself while the music plays. After weeks of practice, their performance of this dance for family and friends at the promotion ceremony is always a triumph; an experience in the art of dance, and a lasting memory to treasure as they leave their elementary school for junior high.